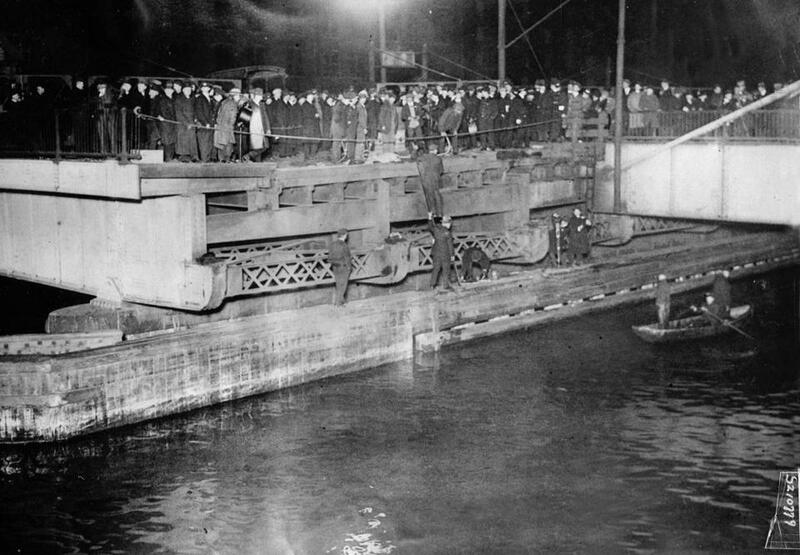 After being cleared of bodies by a team of divers, Car 393 was lifted from the waters of Fort Point Channel by a 75-ton crane early on the morning of Nov. 8, some 10 hours after the accident. 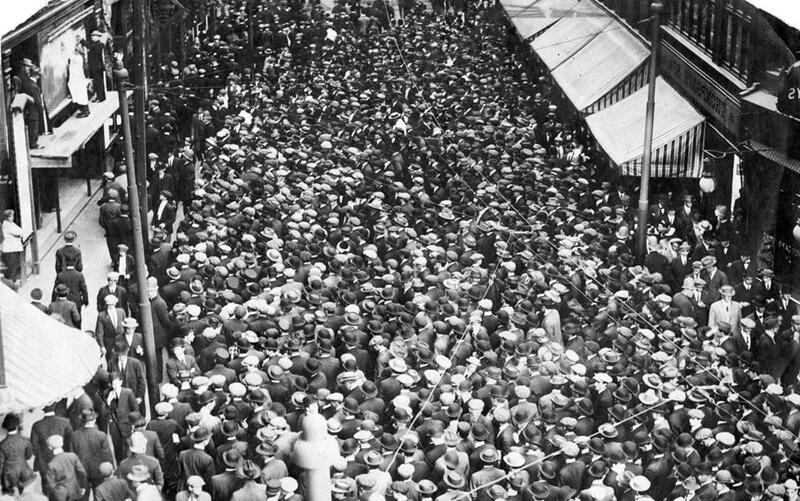 It was election night, one century ago. The Sox had just won the World Series but folks were jittery about their future. Celebrated actress Sarah Bernhardt was coming to town and the controversial blockbuster “Birth of a Nation” was playing at the Grand Opera House. 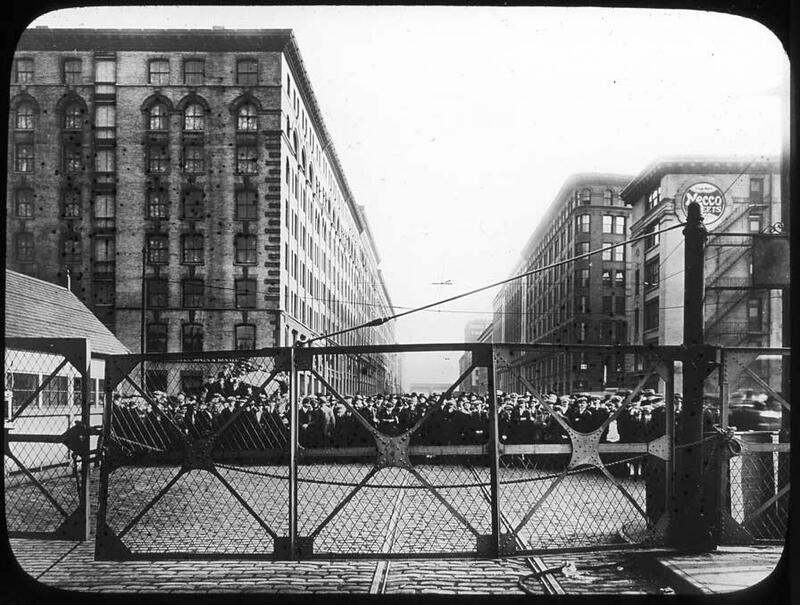 It was against this backdrop, as commuters were rushing to Newspaper Row to get election results, that a trolley packed with factory workers crashed through the gates of an open drawbridge in South Boston, killing 46. 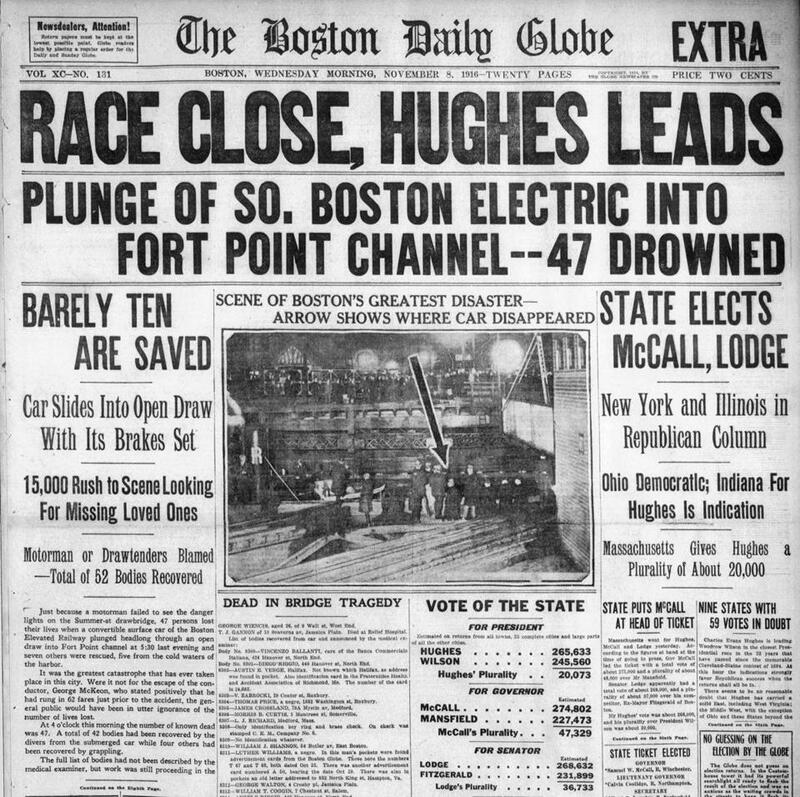 For decades it was considered the worst tragedy in Boston history. And then it was forgotten. 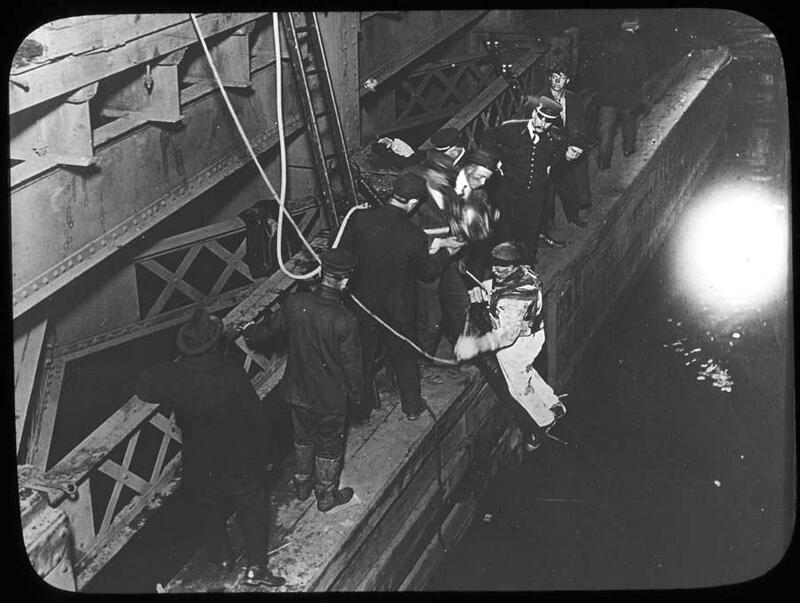 After being cleared of bodies by divers, Car 393 was lifted from Fort Point Channel by a 75-ton marine crane at about 3:30 a.m. on Nov. 8, some 10 hours after the accident. 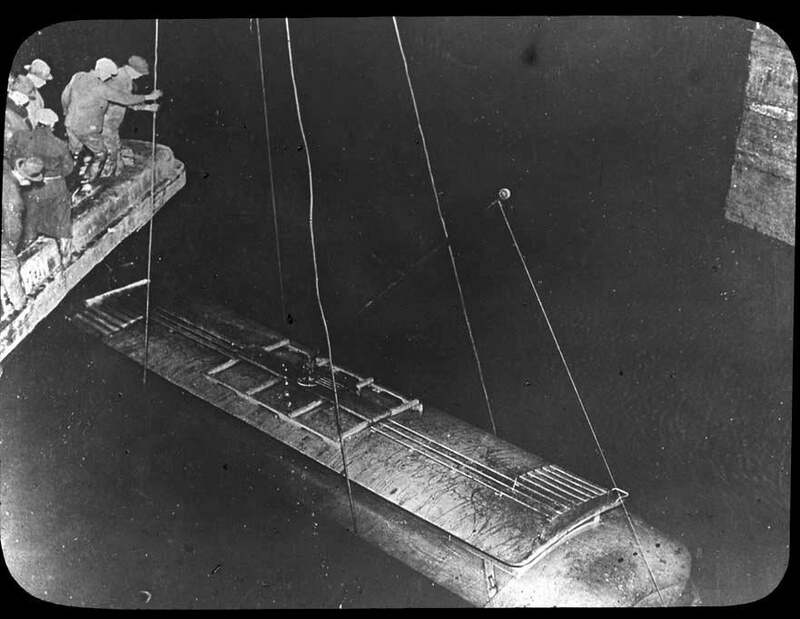 A diver in a small boat is about to descend to the bottom of the channel, aided by searchlights. The larger boat to the right is the Admiral, which carried the crane that would eventually lift the car. Car 393 as it neared the surface. 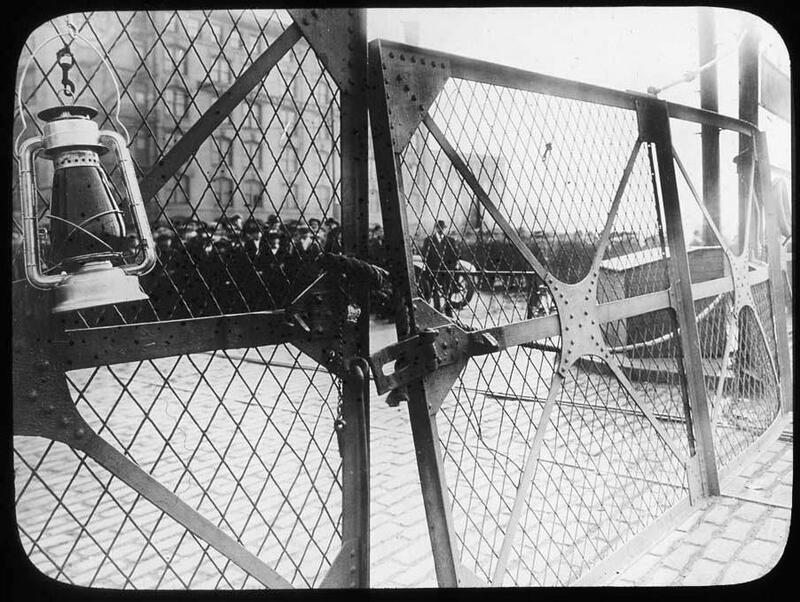 The damaged warning gate that the trolley crashed through, with the lantern that motorman Gerald Walsh said he never saw. Officials pulled the gate back into place after the accident. Some questioned whether the lantern might have been hung immediately after the accident, wondering why it had not been shattered. A photo taken the day after the accident, overlooking the bridge from the southwest, looking toward downtown. Only the inbound side of the bridge, shown here on the right, had opened when the trolley came barreling through the gates. A street view from the inbound side of the drawbridge, looking across the open draw. This is the same view that the motorman would have had just before the trolley went into the water. 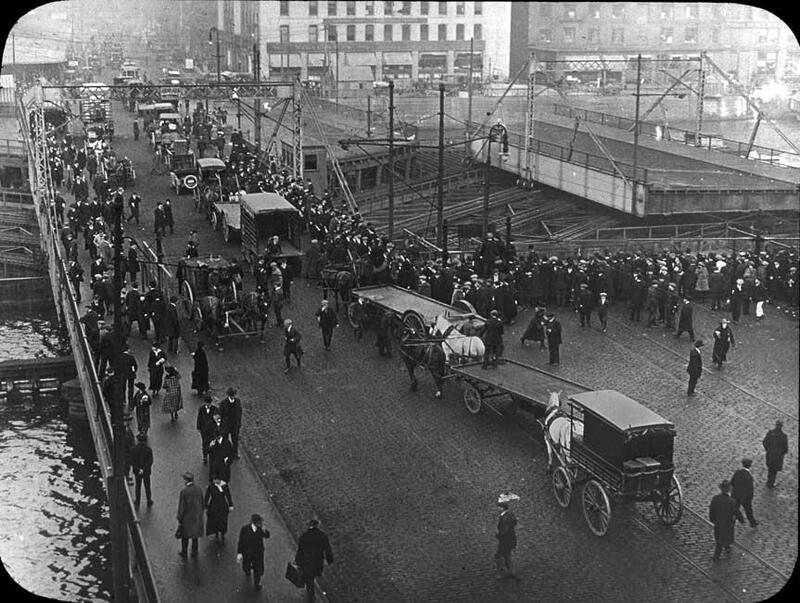 Another view of the crowds that continued to gather the day after the accident, this one looking from the bridge toward South Boston. All of the buildings in the background are still standing, including the old NECCO candy headquarters on the near right. 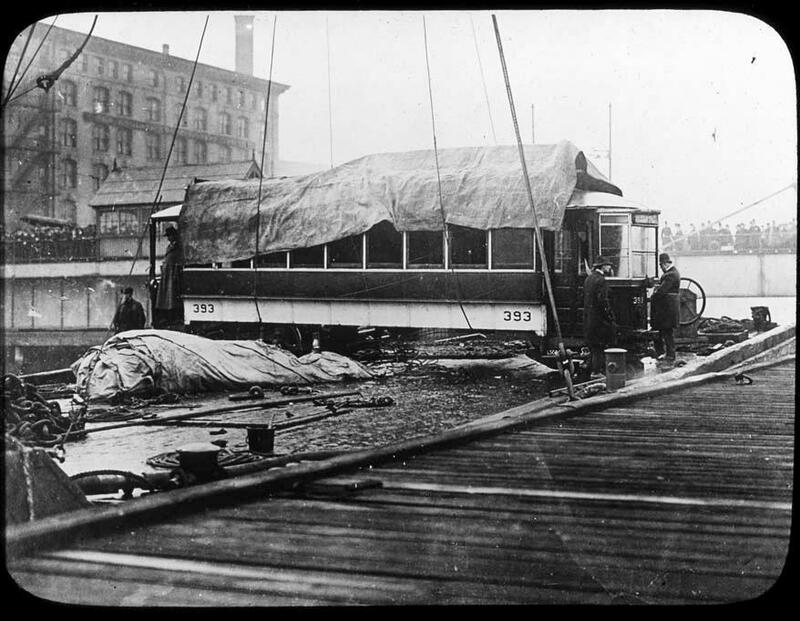 This view shows the trolley after it had been hauled up onto the deck of the Admiral and covered in a tarp. It would soon be floated from Fort Point Channel to the Reserved Channel, where it would be unloaded behind the Boston Elevated’s power plant for official examination. 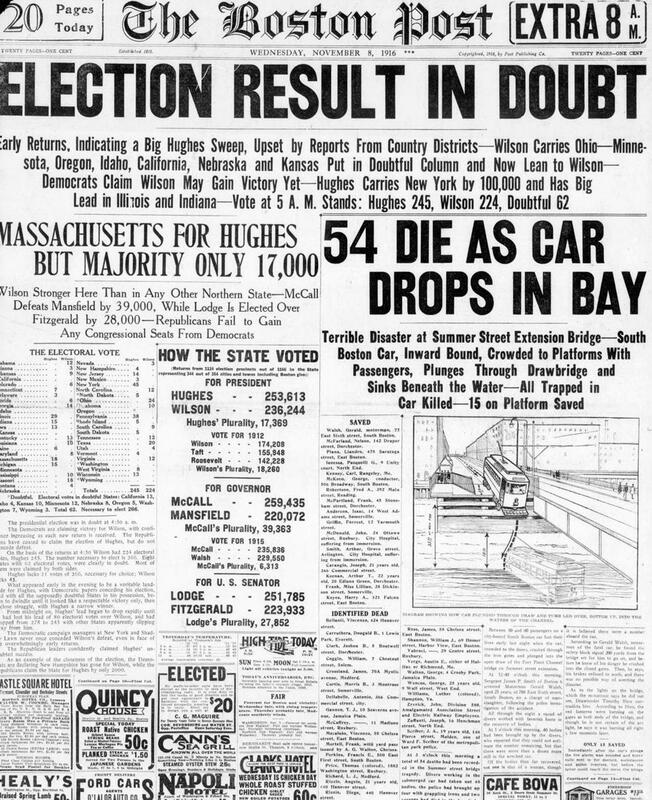 The Nov. 8, 1916 front page of the Boston Daily Globe reported on both the tragedy and the election results. The initial death toll varied in local newpapers, the final count was 46. Though the Globe estimated the number of dead at 47, the Boston Post put the number at 54. 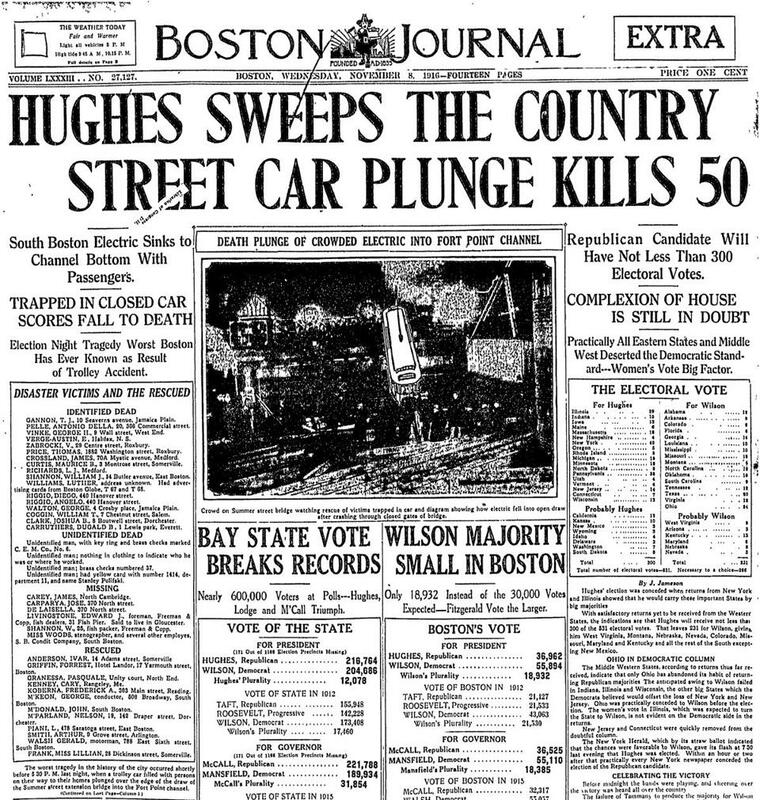 The Boston Journal’s front page prematurely gave the presidential election to Charles Evans Hughes, who would ultimately lose to President Wilson. 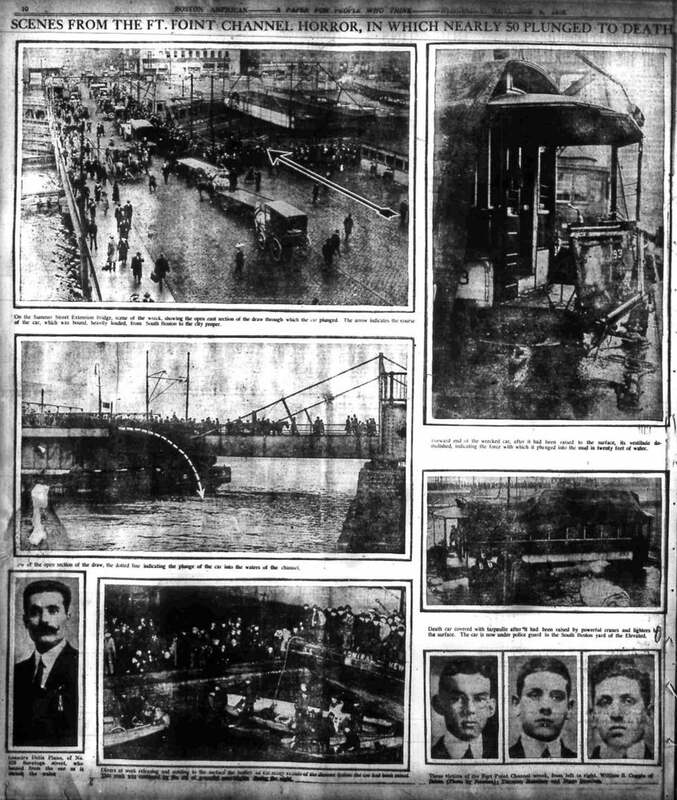 Page 10 of the next evening’s Boston American included several photographs of the accident scene. 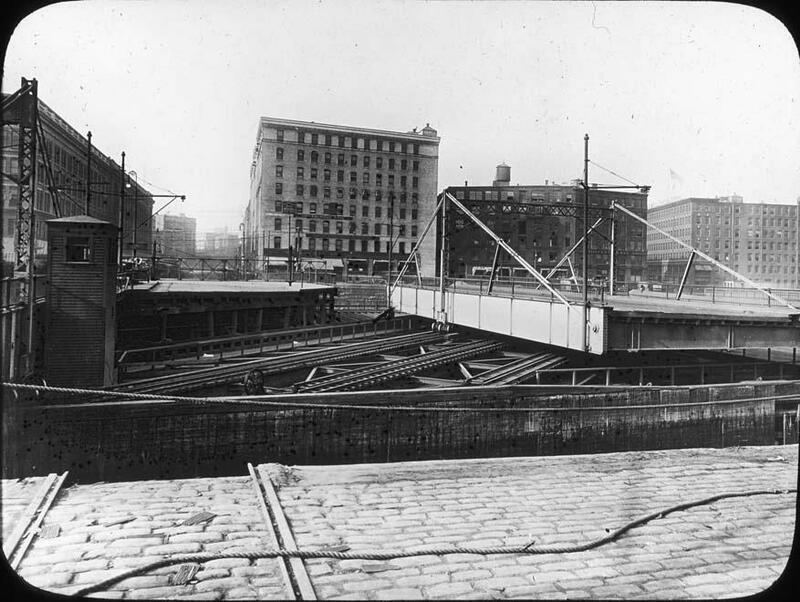 This photo, taken 16 years after the accident, shows the Summer Street Bridge and Fort Point Channel area looking much as it had during the time of the accident. 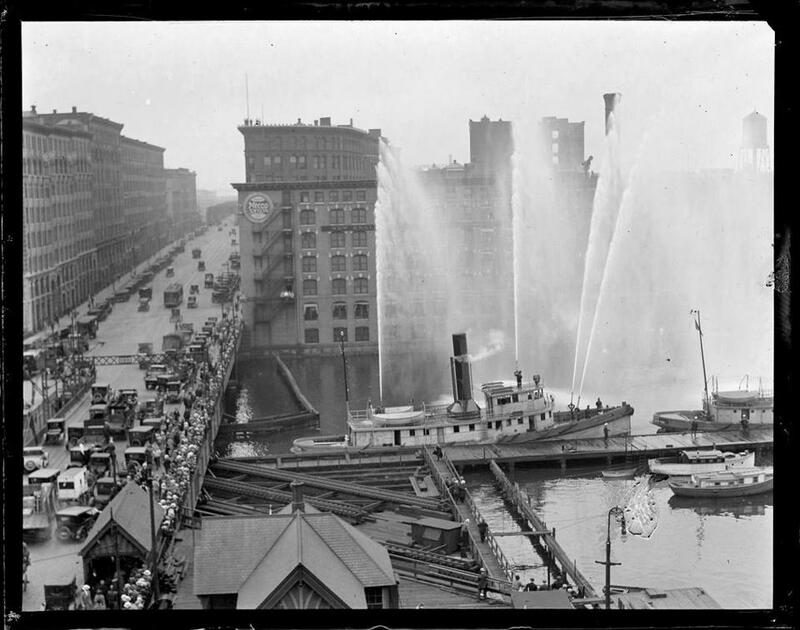 It shows Fireboat 44 — here demonstrating its hoses — which had responded quickly to the accident in 1916 from its berth near the mouth of Fort Point Channel. The roof of the drawtender’s house is visible in the foreground. 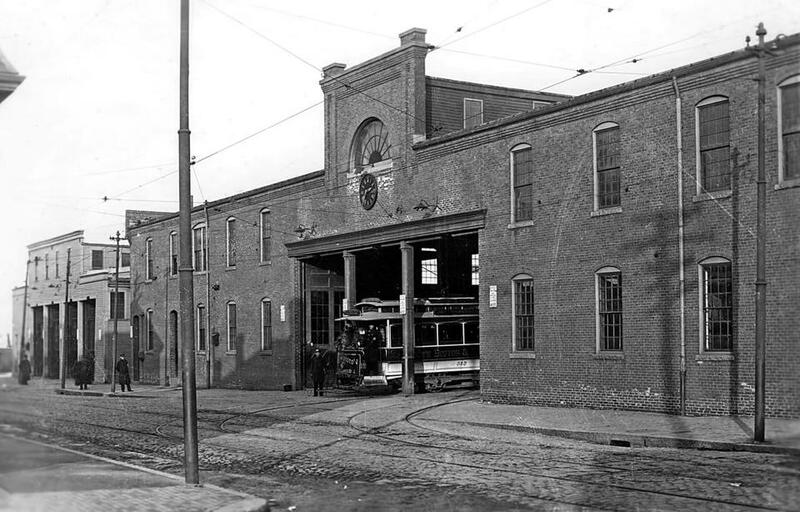 Car 393 began its journey from the P Street car barn near City Point in South Boston. 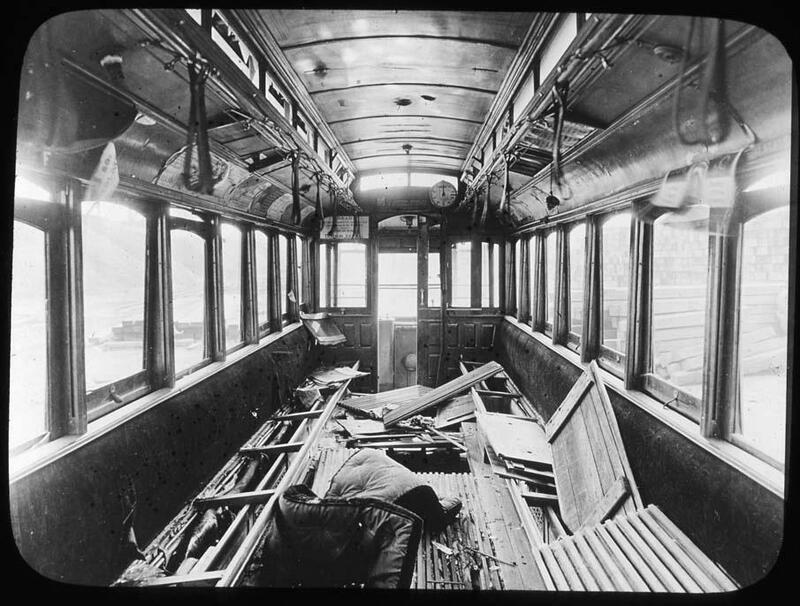 This 1893 photo shows an early electric streetcar leaving the facility. 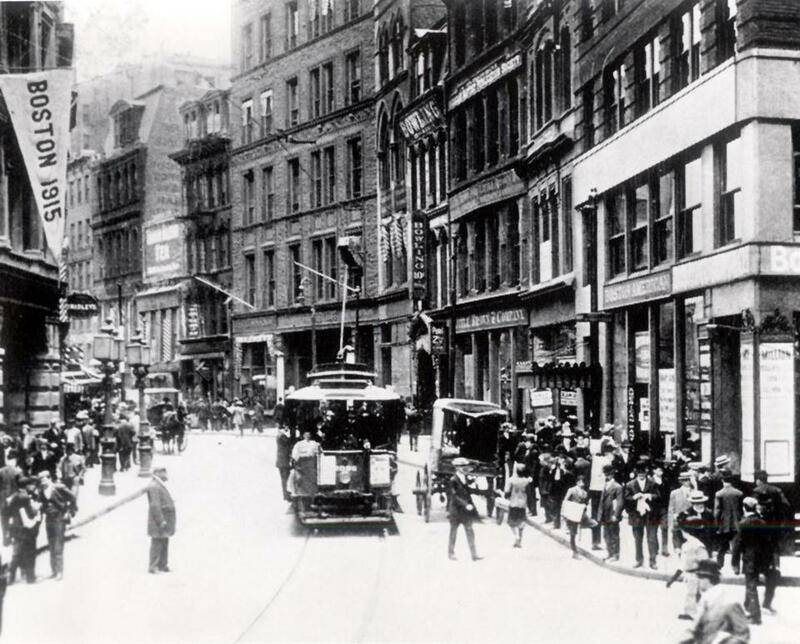 Though this photo of Boston’s Newspaper Row was taken during the 1912 World Series, it looked much the same on Election Night in 1916, when thousands of people packed Washington Street between Bromfield and State streets to watch the election returns outside the newspaper offices lining the street. In an age before live radio reports, let alone television, most newspapers used a slide projector to display the latest information coming in off the wire, along with prepared photos and political cartoons. 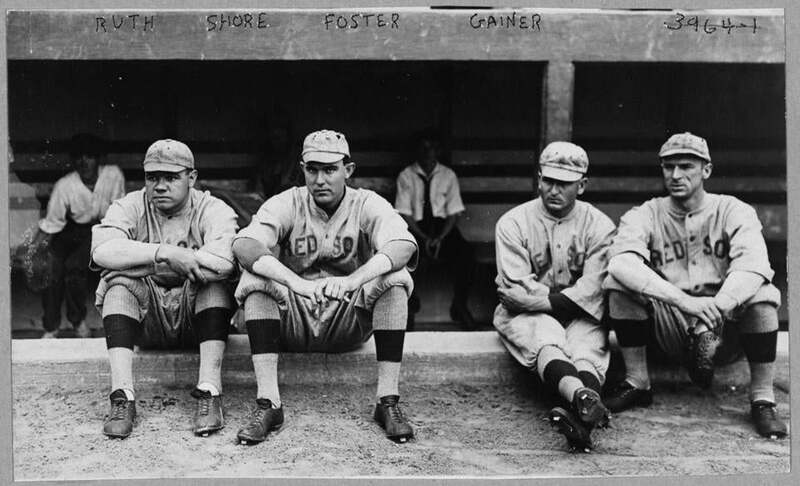 Though the Red Sox were the newer of Boston’s two major league teams, they were the talk of the town in the fall of 1916 after winning their second straight “World’s Series.” Shown here are four players from the club: Pitcher Babe Ruth, who won 23 games that year and led the league in ERA; pitcher Ernie Shore, hero of the Series; pitcher Rube Foster, who won 14 games that year; and platoon player Del Gainer, who had the game-winning hit in extra innings of Game 2 of the Series. 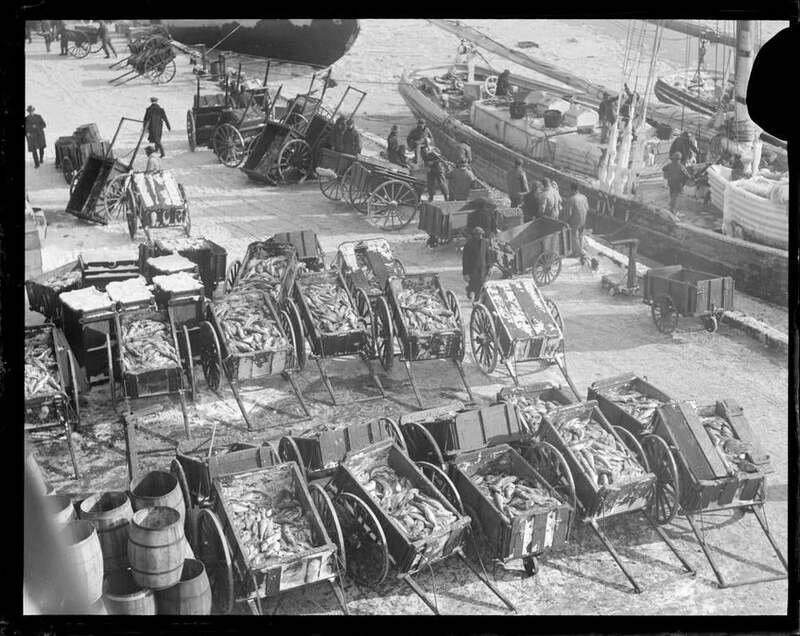 This shot shows pushcarts lined up outside the Fish Pier, which opened on the South Boston waterfront in 1914 as home for Boston’s wholesale fish dealers. 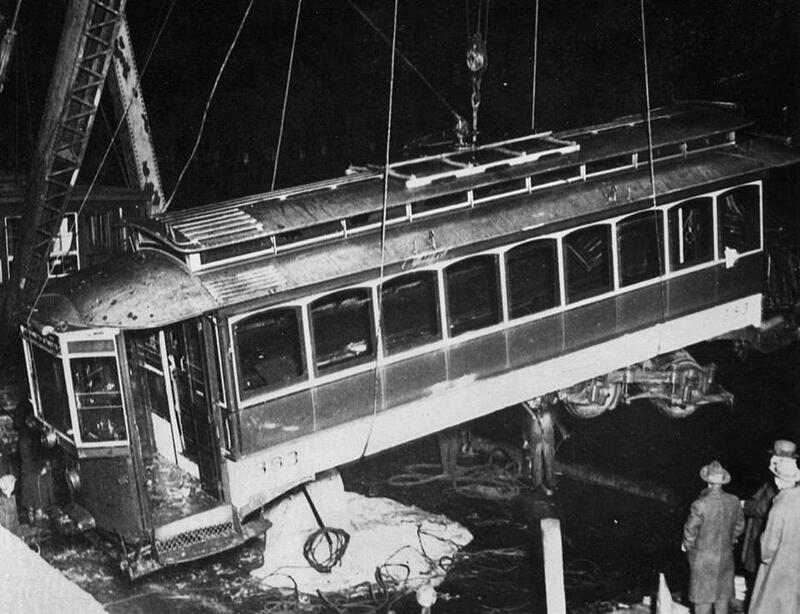 Ten of the victims of the trolley disaster worked at the Fish Pier. 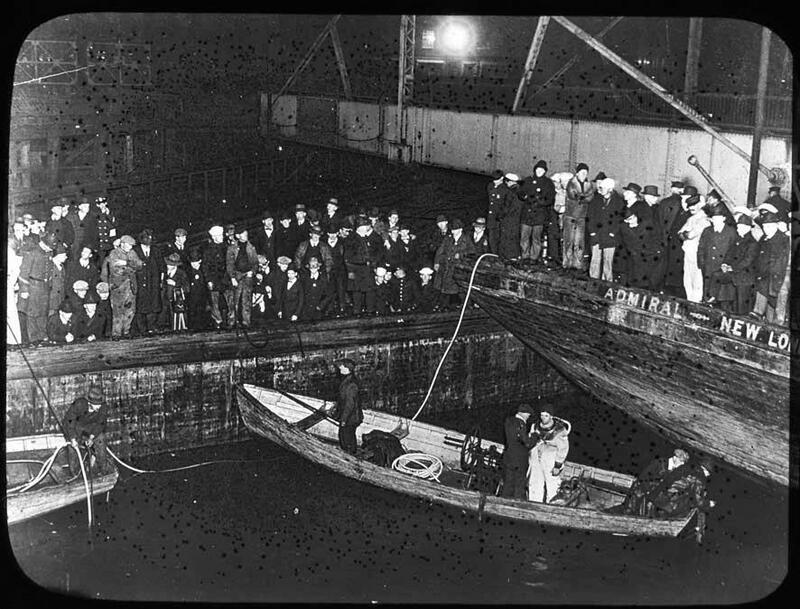 Though these pushcars had an oldtime quality, the 1,200-foot-long pier was lined with modern buildings, including a cold storage facility that could hold 15 million pounds of fish, reported to be the largest in the world. The pier’s construction had been inspired by health concerns, as well as limited space, at the cramped, slimy T Wharf that had previously housed the fish market downtown. 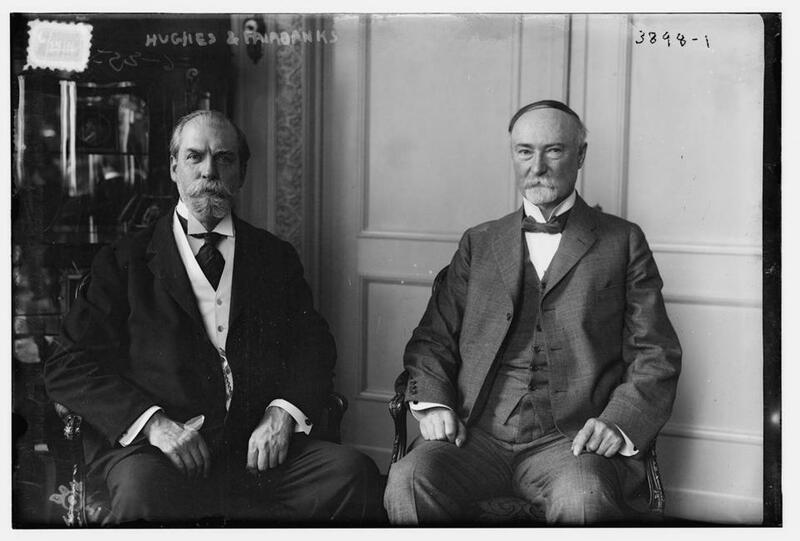 As the 1916 election neared, Republican presidential candidate Charles Evans Hughes, shown here on the left, was considered a favorite to unseat President Woodrow Wilson, a Democrat who had squeaked into office four years earlier in a three-way race. At right is former vice president Charles Warren Fairbanks.